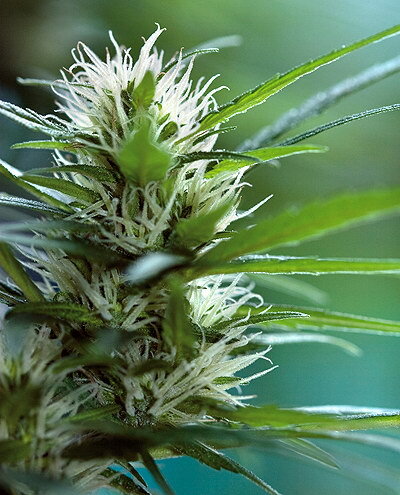 To create SnowStorm we selected the sturdy Masterkush from the Hindu Kush region of Afghanistan as the THC-rich variety. Masterkush is a compact and forgiving variety that grows well in any medium such as soil, hydro, coco etc. Master Kush produces an extremely potent smoke that is smooth and sweet with earthy/citrus flavours, qualities that have been retained in the SnowStorm breeding process. Masterkush proved to be an excellent strain to hybridize with a carefully selected. Ruderalis variety to create SnowStorm. This breeding process took us almost 2 years to perfect, but the result was well worth the wait. 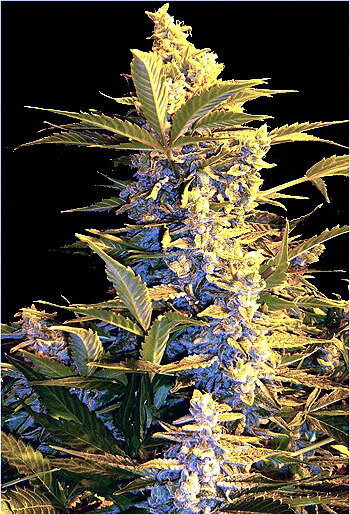 SnowStorm is a very stable, high yielding variety that has astonishing potency and is full of resin. When ready to harvest it resembles a Christmas tree that has been in a snow storm!